Xerox has launched a new color MFP for entry office segment Xerox WorkCentre 7120. 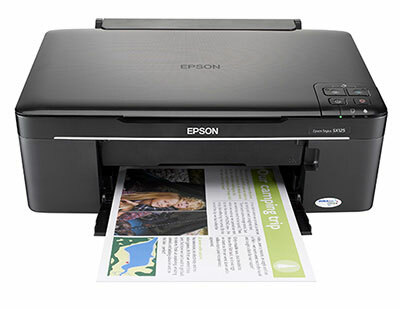 This affordable equipment has full functionality and all the benefits of an office full-color MFP. WorkCentre 7120 accelerates the work of the office and allows you to create high-quality printed materials, thus contributing to business development. The WorkCentre 7120 has been created to satisfy all the needs of modern offices: high speed, efficiency, space saving and power. 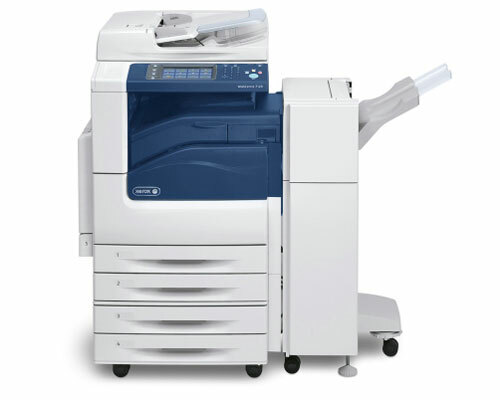 In the basic configuration the new device includes a Xerox copier, printer and scanner to provide high performance office, a variety of options to handle the tasks and innovative technologies implemented in the MFP. WorkCentre 7120 MFP allows double-sided printing of documents without loss of performance. This means that regardless of whether one or both sides of the printed document, the user will receive it through the same amount of time. Less paper needed to print will help the company reduce costs. There is a function Print Around, which is necessary if any material (e.g., A3 paper) is not available for the printing job. In this case the machine does not stop working. WorkCentre 7120 Intelligent Controller simply postpones the task and proceeds to the next. Processing of pending tasks is resumed as soon as the missing materials are available again. WorkCentre 7120 is equipped with a convenient 7-inch touch screen. Users can immediately select the type of job from the main menu – thought-out interface of the device provides access to basic functions MFP in two clicks. The device halps you save electricity power thanks to the LED lamp installed in the scanning device, which consumes three times less energy than a conventional xenon lamp, and low toner baking temperature, which also allows you to receive the magnificent full-color prints with less distortion of the paper. Epson has introduced two new devices that combine the quality of printing and ease of management: Epson Stylus S22 and SX125. As the producer states, new items are affordably priced and feature economical printing achieved by using separate cartridges. 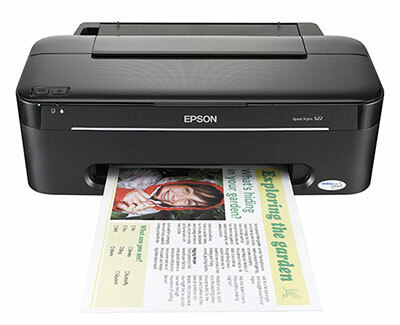 Epson Stylus S22 printer is suitable for printing text documents and photographs, while Epson Stylus SX125 MFP also supports copying and scanning. Their cost-effectiveness both devices own to the use of separate cartridges – the user only changes the cartridge that is empty. The Epson DURABrite Ultra pigment ink ensures quick drying and longevity of prints, guarantees their resistance to water and light. Thanks to Epson Easy Photo Print software supplied along with the printer, the user can easily adjust the contrast and color of photographs, and eliminate “red-eye” effect without resorting to complex image editing programs. The delivery package of Epson Stylus SX125 contains ABBYY FineReader, specialized software for rapid recognition and editing of scanned text, as well as Epson Easy Photo Fix software to restore color, remove dust and correct background light of scanning photos.